The Commuter’s exciting conclusion is not worth sitting through over an hour of tedious fight scenes derivative of every other action thriller. 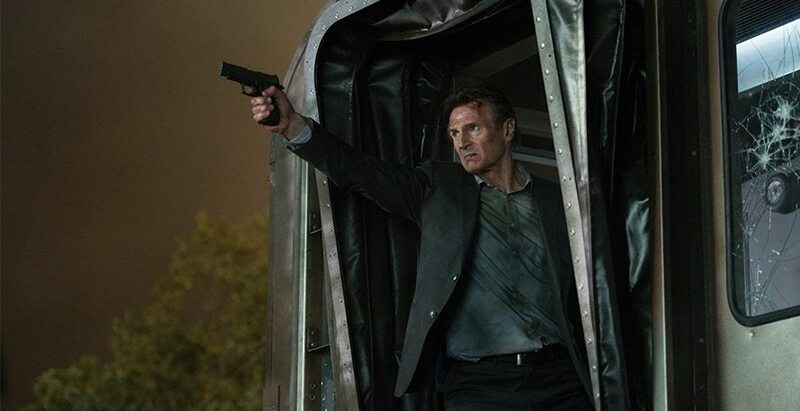 Michael (Liam Neeson) has taken the same train every day to his job for ten years. On the day he loses his job, he is approached on the train by a mysterious woman, Joanna (Vera Farminga). She tells him that he is the only person capable of identifying someone who does not belong on the train. All the information he has is that this person is carrying a bag and will be getting off at the last stop, and that he must put a tracker on the bag. While The Commuter’s premise is initially intriguing, in terms of the philosophical implication and general intrigue, it does not have enough plot to keep the story moving, and it quickly descends into absurdity. For an hour, Neeson just runs up and down the train, engaging in fist fights more often than necessary. The movie misuses its ticking clock, largely lacks momentum, and loses its tension. The escalation of the plot does not feel earned and feels like it belongs in a completely different movie than the first ten minutes of the film. The plot relies too heavily on early exposition, which is supposed to explain Neeson’s character’s motives and background. But the character is too flat in even the beginning to carry the rest of the film. All the other characters also feel like quick sketches of people, rather than actual characters, so the danger is never that compelling. This movie’s plot would not be so terrible if it were just a little more creative. It just combines the threats of basically every other action movie to make one nonsensical plot. As a whole, The Commuter feels like it was created through a randomizer picking out dialogue and story details from other action movies. It gets to the point that at times, the dialogue is actually intolerably bad. To match the weak dialogue, there is also weak cinematography. To create a sense of chaos, The Commuter has an uncomfortable amount of shaky cam. The biggest problem in this is that it happens at completely inappropriate times to an absurd extent, even during scenes not on the train when characters are just casually talking. In between the endless shaky cam, The Commuter throws in some more stylized shots. However, instead of feeling natural and having been included for a purpose, these shots just feel so obnoxious that they do not make sense. For example, The Commuter copies the Dolly Zoom (where the camera zooms in or out while it is physically moved on a dolly in the other direction) effect made popular from movies such as Vertigo or Jaws. This kind of shot should be impactful, but here, just feels randomly used. 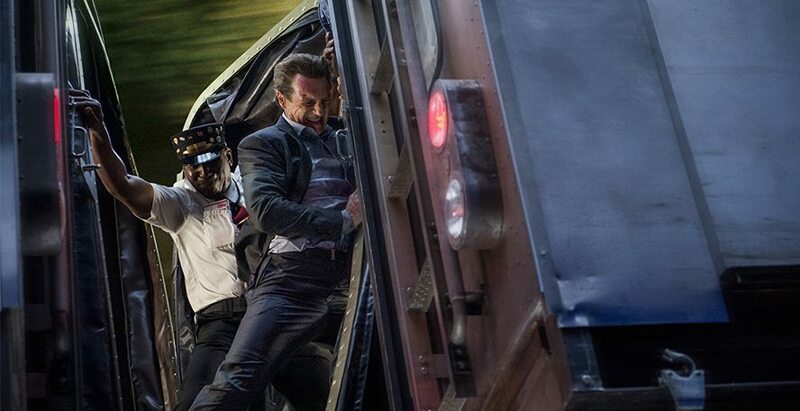 While The Commuter lacks momentum for the majority of the movie, the conclusion is fairly exciting. However, it only manages this because the plot escalates to absurd proportions. Overall, The Commuter just feels careless and uninspired.